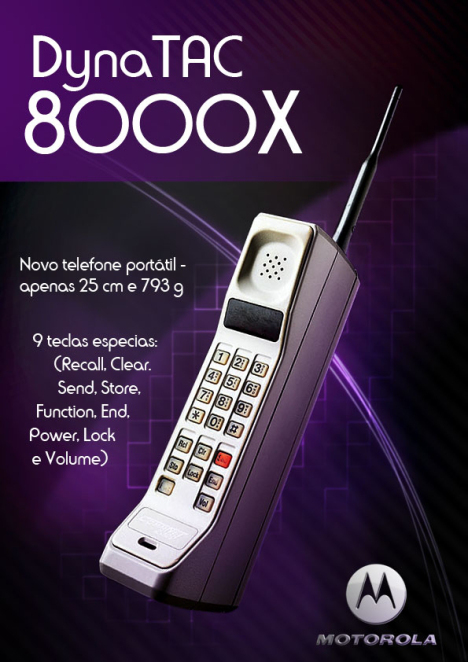 In 1984, Motorola introduced the world’s first cordless, mobile phone called the DynaTAC 8000x. The phone was targeted to a select group of buyers such as CEOs, entrepreneurs and doctors, and cost $3,995. It was featured on movies and TV shows like “Wall Street” and “Saved by the Bell.” Ameritech initiated the first commercial cellular service in the US costing $50 a month plus 40 cents a minute between the hours of 9 am and 5 pm. Nicknamed “The Brick”, the DynaTAC 8000x provided 30 minutes of talk time for every 10-hour charge.